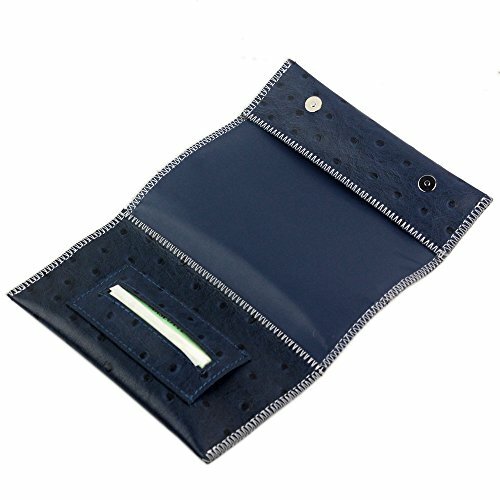 NEW Genuine Leather Hookah Cigarette Tobacco Pouch Case Wallet Rolling Tip Paper Holder Slot CL42 (Blue) by Unknown at Serious Jones. Hurry! Limited time offer. Offer valid only while supplies last.